Defending Kate’s face – and let there be links! Marilyn Manson: Marilyn Manson (born Brian Hugh Warner on January 5, 1969) is an American musician, artist and former music journalist known for his controversial stage persona and image as the lead singer of the eponymous band, Marilyn Manson. His stage name was formed from juxtaposing the names of two 1960s American cultural icons, namely actress Marilyn Monroe and convicted multiple murder mastermind Charles Manson as a critical and, simultaneously, laudatory appraisal of America and its peculiar culture. He has a long legacy of being depicted in the media as a detrimental influence on young people. The seemingly outrageous styles for which he models and the controversy surrounding his lyrics have led to his very pronounced public appeal. 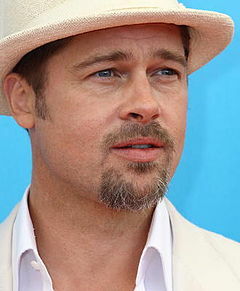 Brad Pitt: William Bradley “Brad” Pitt (born December 18, 1963) is an American actor and film producer. Pitt has received two Academy Award nominations and four Golden Globe Award nominations, winning one. He has been described as one of the world’s most attractive men, a label for which he has received substantial media attention. My name is Michelle and I'm a frequent internet user - never off it - and general tech lover. I also love fashion, gossip and movies.